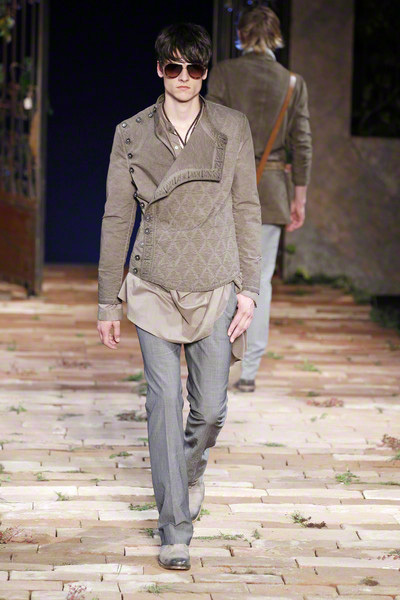 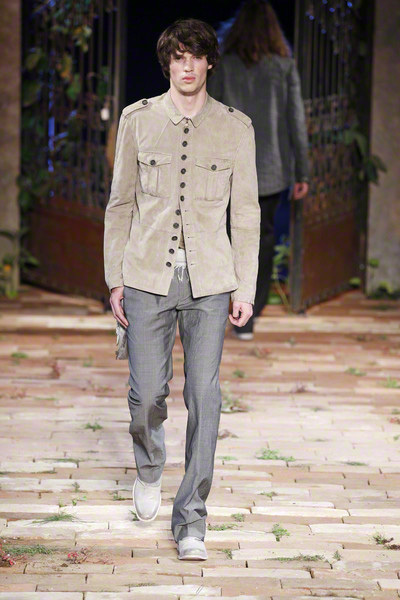 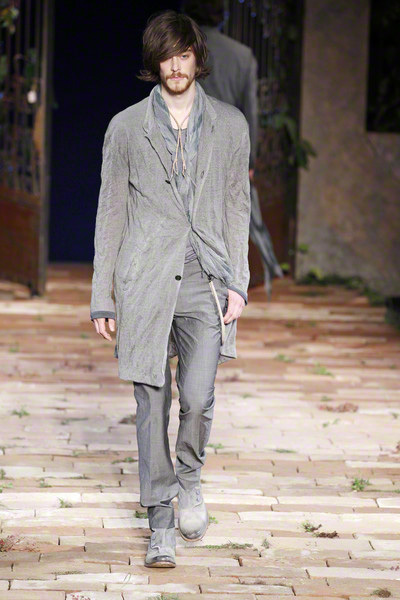 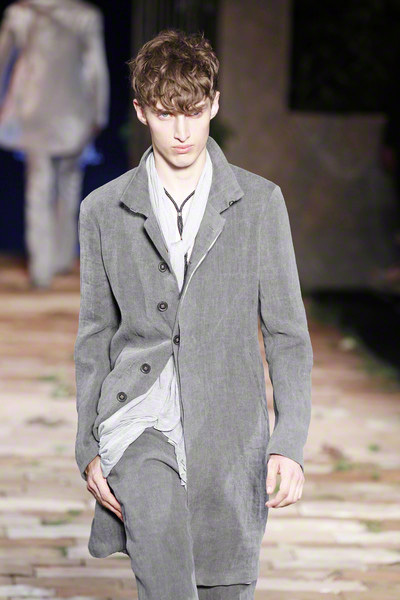 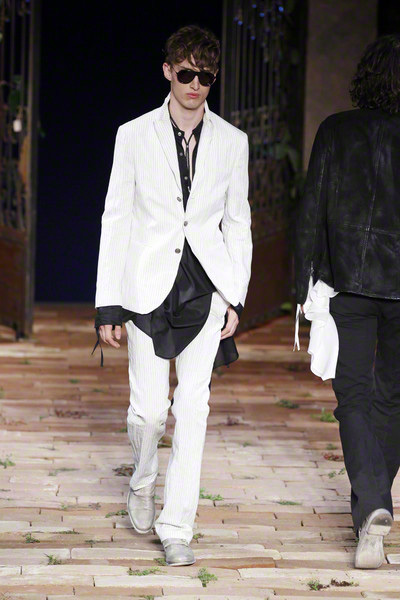 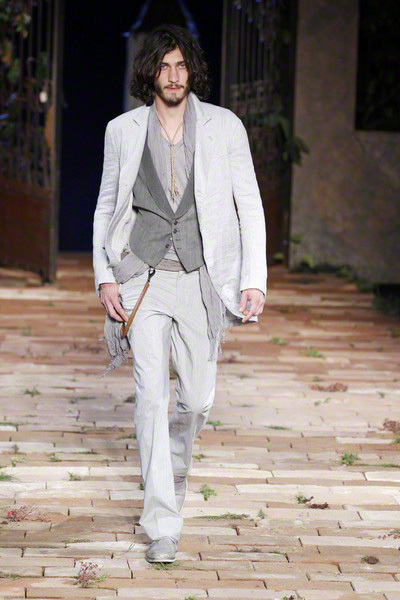 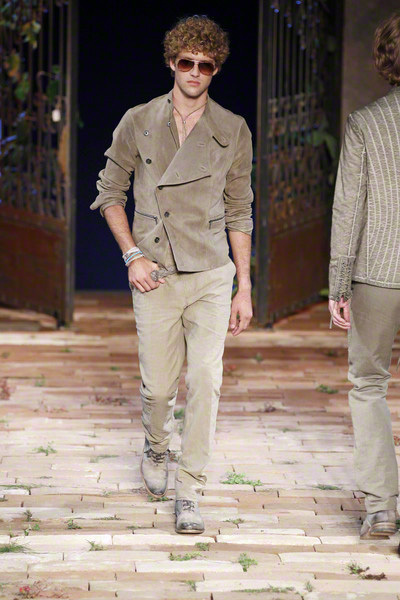 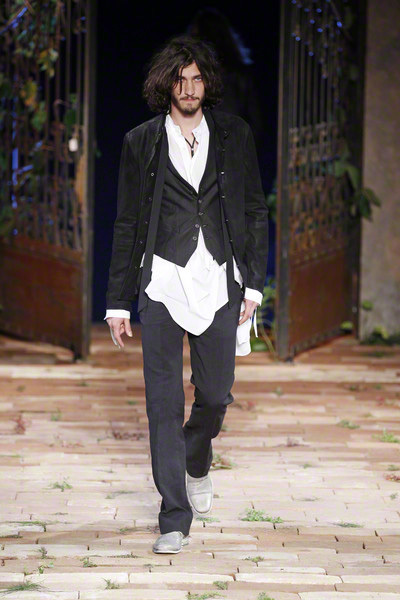 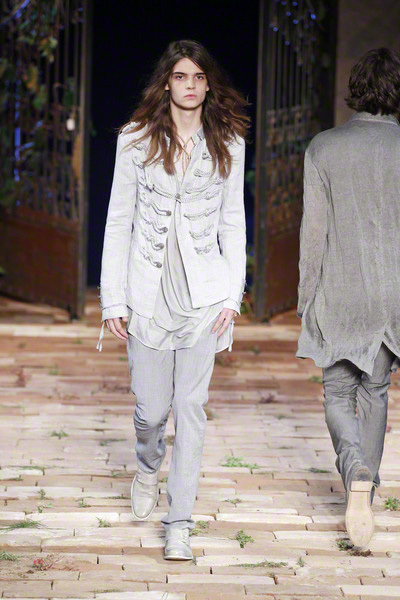 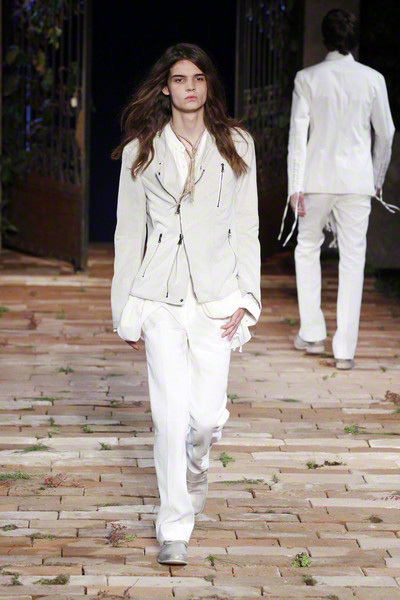 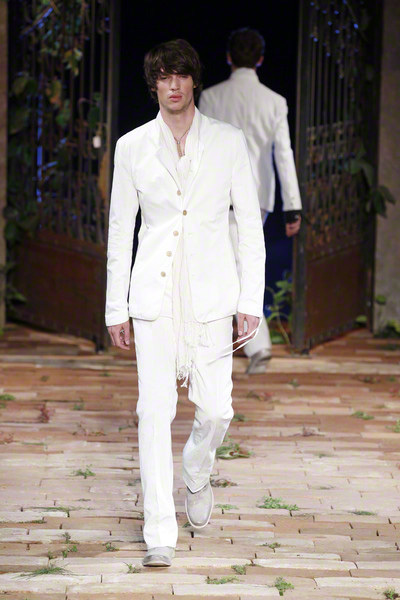 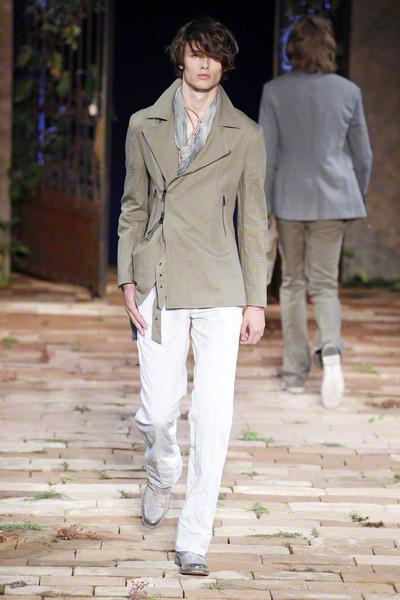 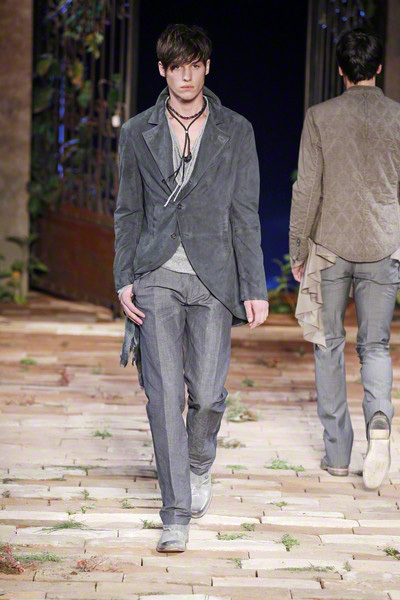 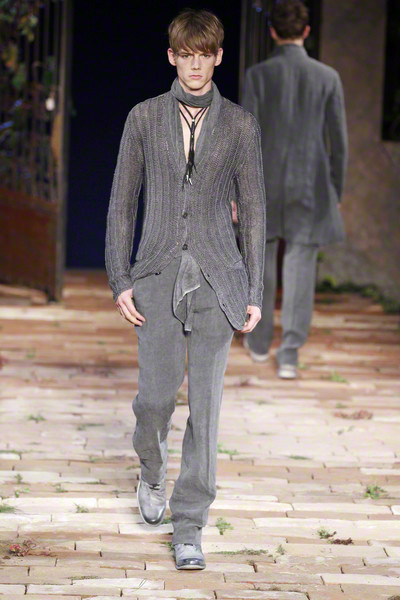 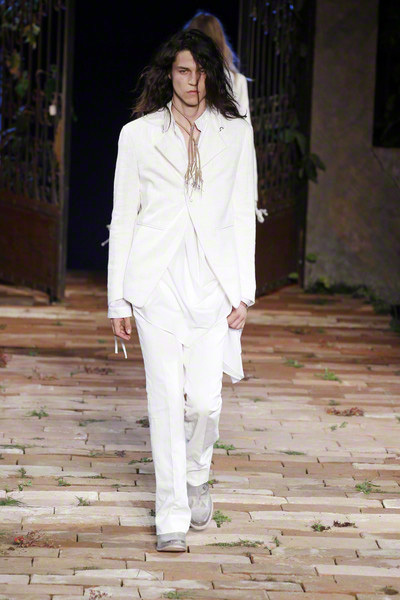 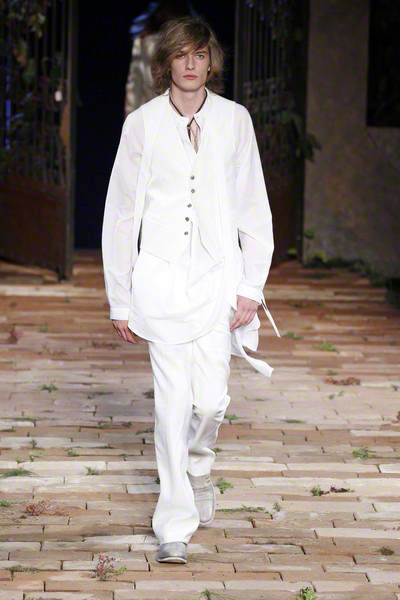 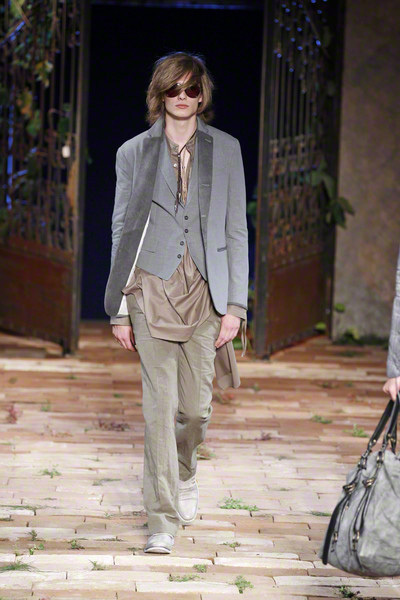 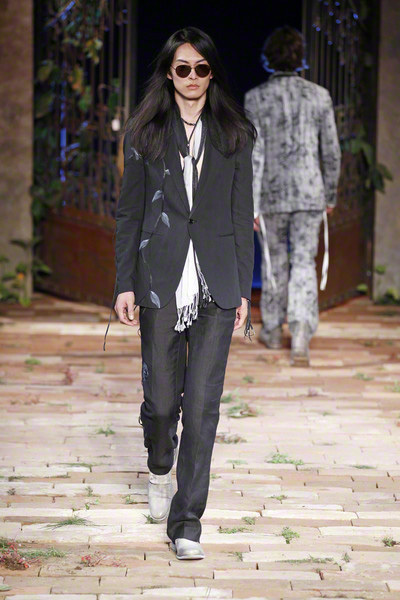 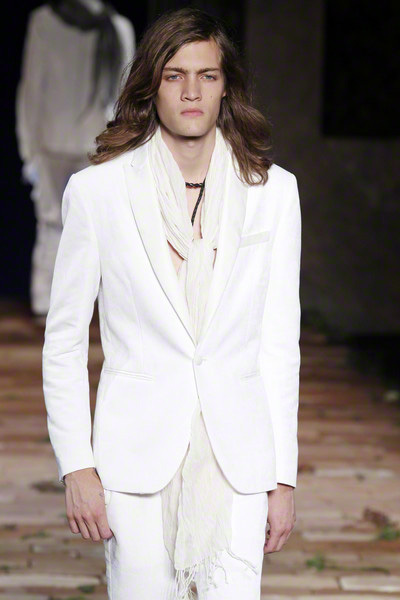 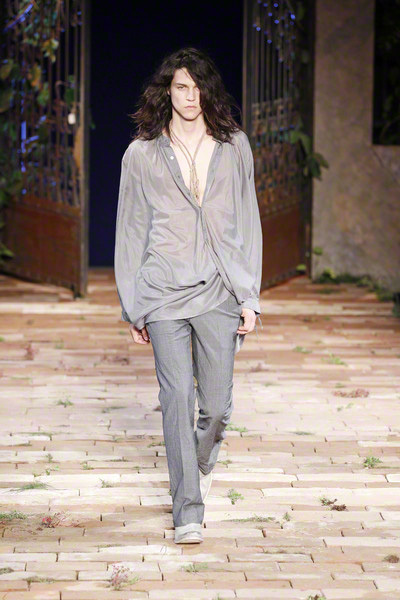 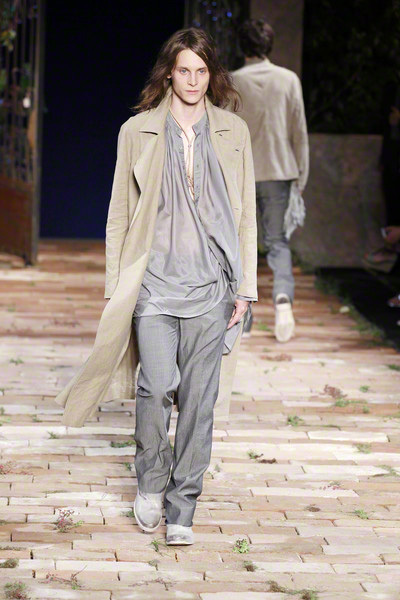 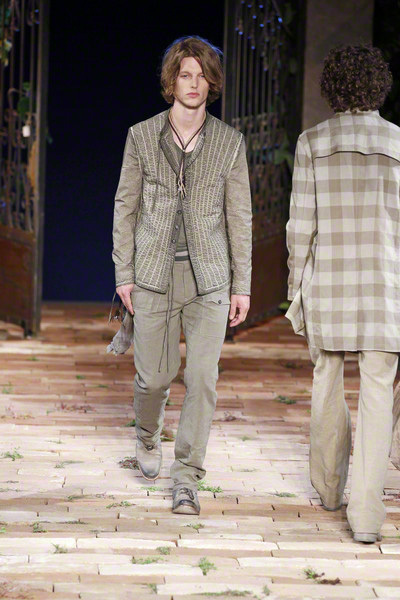 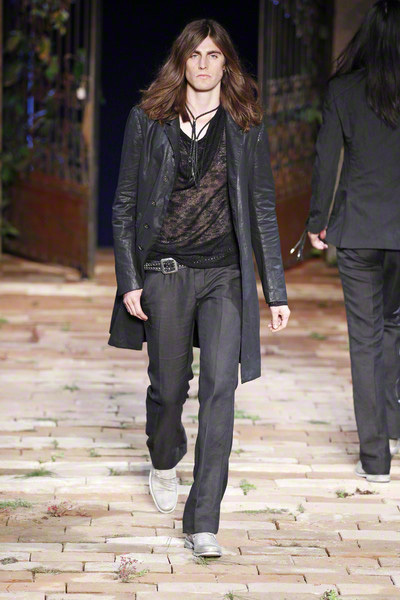 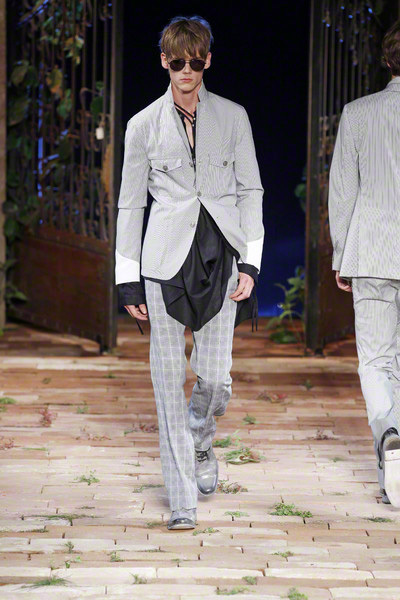 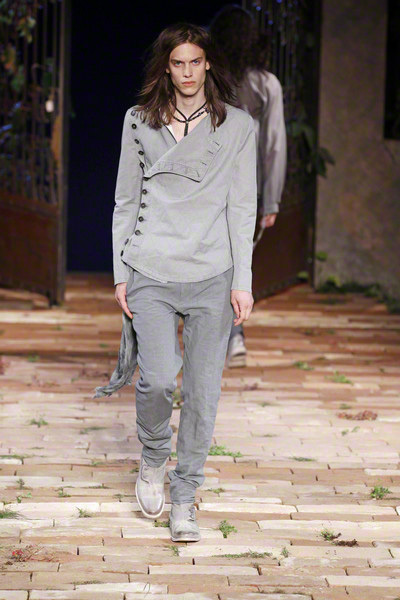 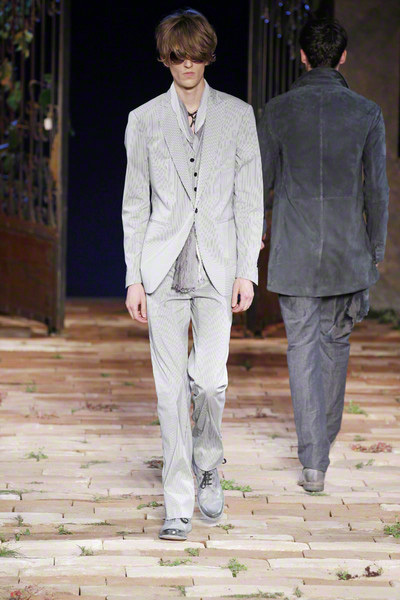 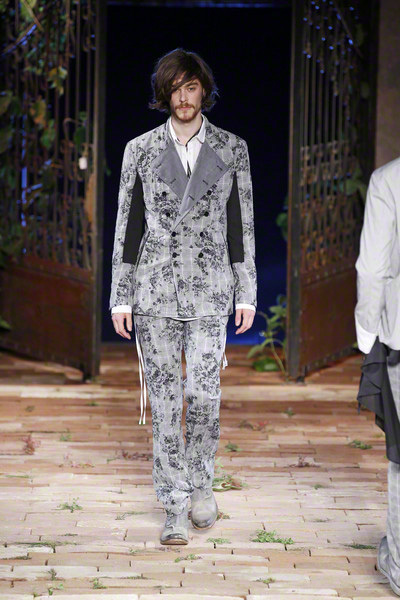 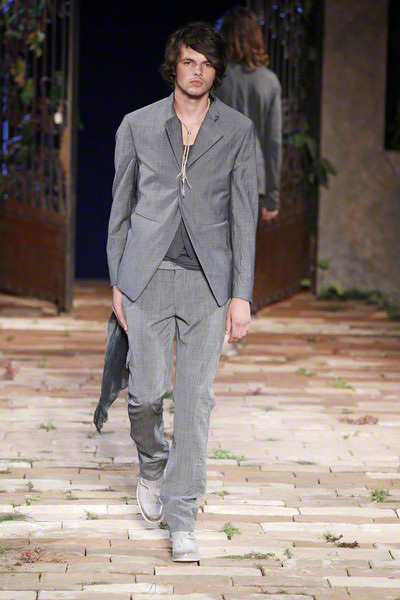 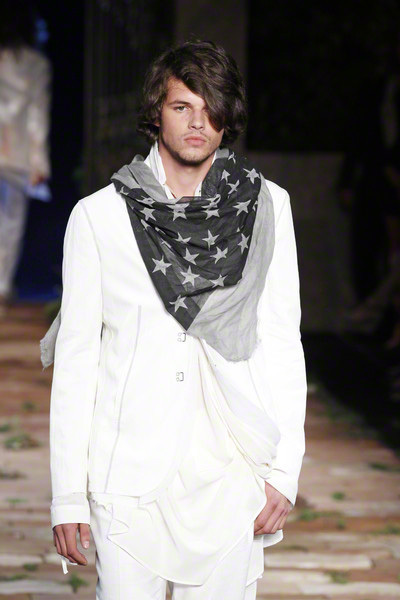 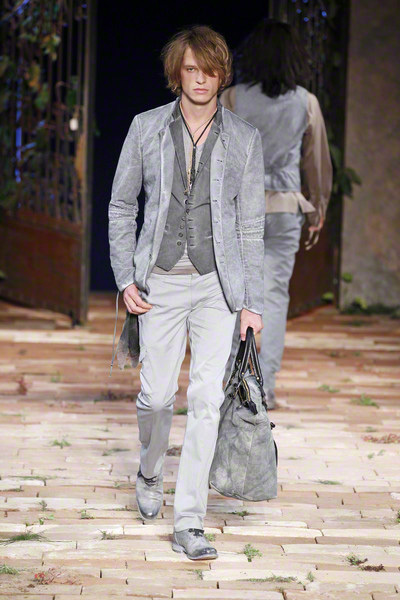 After just the first look the mood was set at John Varvatos. 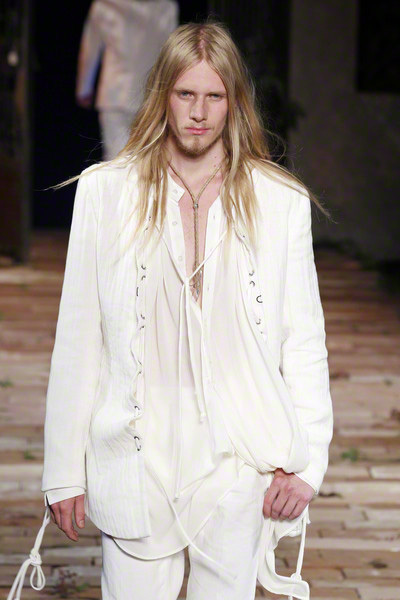 Dressed in a loose blouse and a slightly flared pair of trousers, accessorized by an eye-catching necklace the look of the long haired model breathed seventies, hippie-chic, romance and freedom. 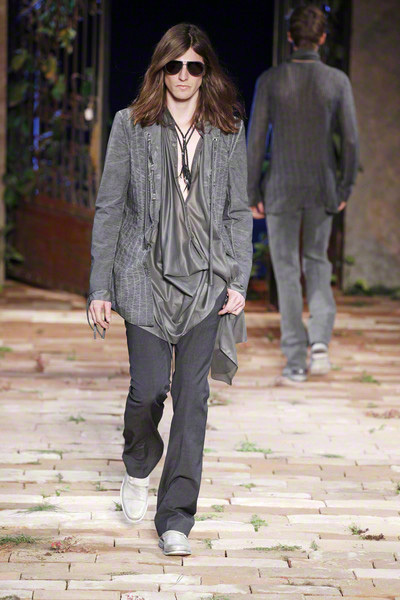 From that first look on the loose silhouette continued (as well as the long hair). 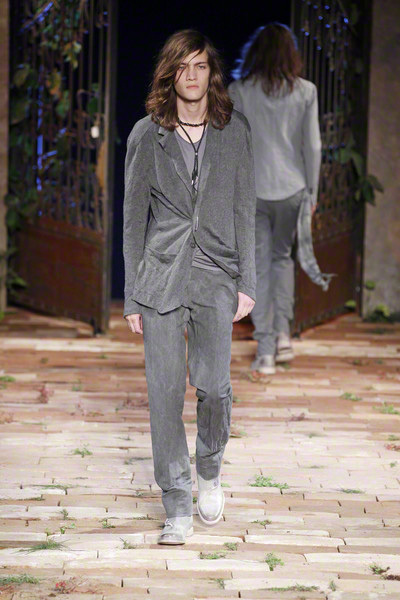 First in multiple grey tones. 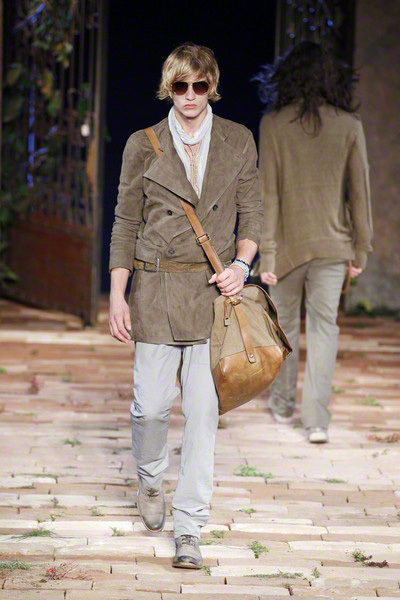 Changing from a loose fitting suit jacket to a military jacket and later a long cardigan (never without the necklace). 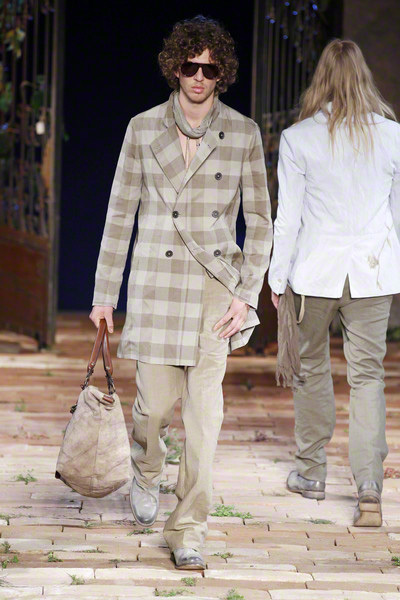 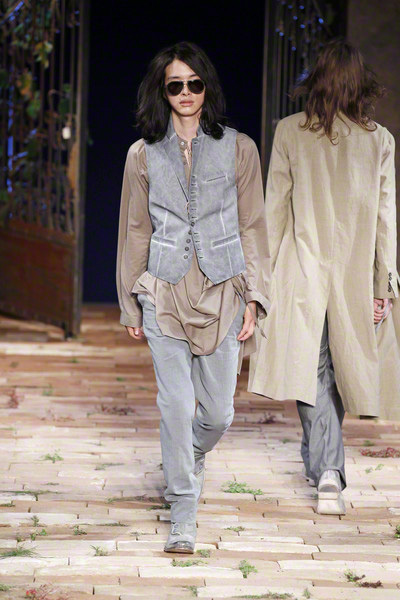 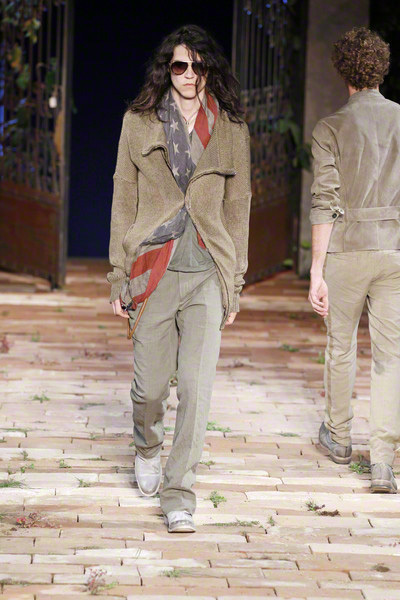 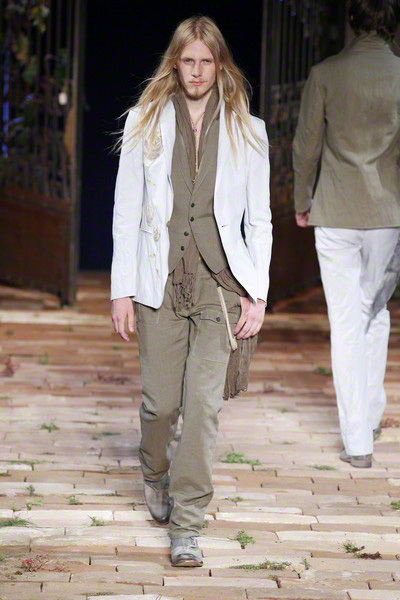 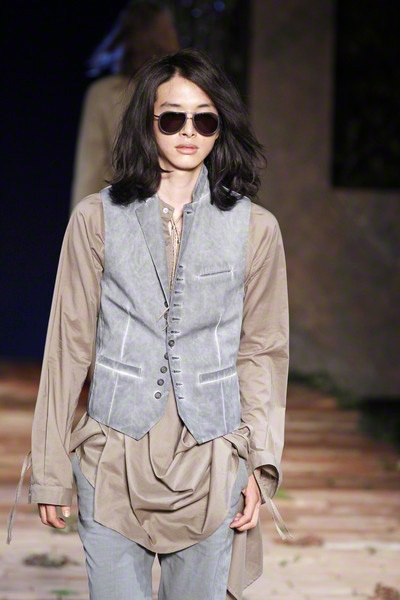 Waistcoats, suede jackets, a checked pair of pants and scarfs with the print of the American flag followed in shades of sand, camel, off white and black. 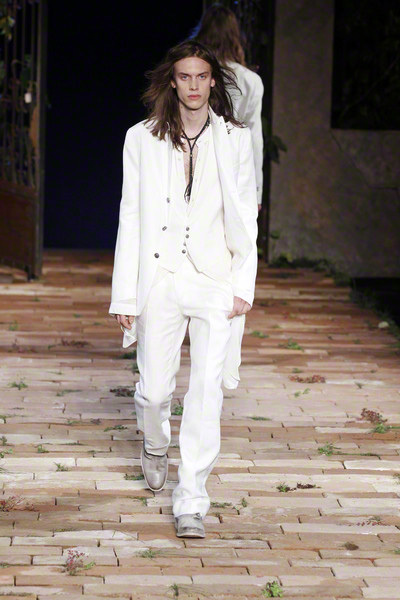 All styled with a seventies vibe (lots of layering), but just as wearable combined with some less outspoken items for anyone who’s not feeling the early Rolling Stones style.